Imagine a valuable possession you own that has deteriorated over time. Let’s use your car as an example. 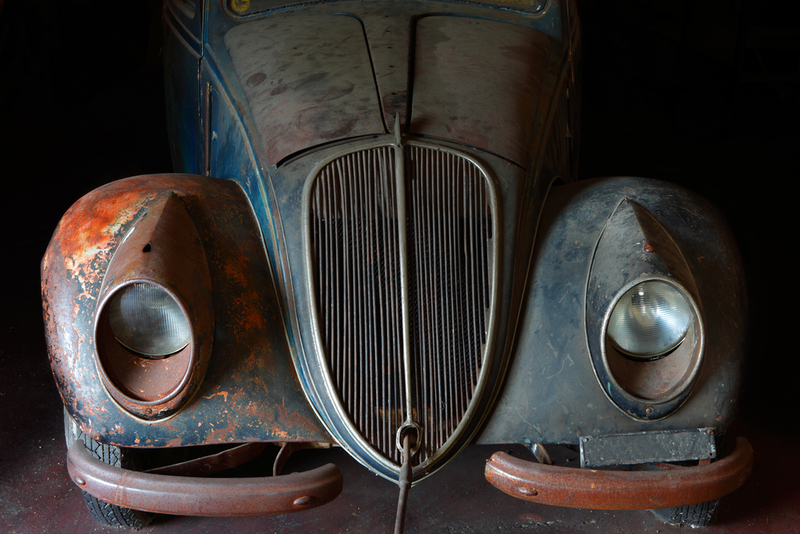 No matter how sentimental that vehicle may be (such as mom, dad, or your big brother passing it down to you), there’s no harm in giving it a little TLC. That’s where Chemical Immersion come in. Chemical Immersion is a cleaning process that fully submerges materials in chemical solutions. Like your vehicle, this stripping process can clean steel and other materials, including metal, glass, and plastic. This process also removes many elements, including accumulated paints, tough epoxies, lacquers, enamels, acrylics, nylon, Teflon, plastisols, rubber, glue, tar, mastics, and auto undercoating. Seeing Is Believing. Check Out Our Before and After Treatments. With our specialized process of combining immersion with tumbling (process of rotating objects) and agitation (process of moving objects repeatedly up and down), we’re able to thoroughly clean a multitude of objects of all sizes, from baseball bats to pump housings. With a variety of cleaning processes to choose from, why should you choose Chemical Immersion? Redi-Strip goes above and beyond to take care of all of your restoration needs. As the creator of the first alkaline immersion process, we’ve been perfecting the process of cleaning your valuables for over 70 years strong. Start Restoring Your Valuables Now. Chat With Us Today.